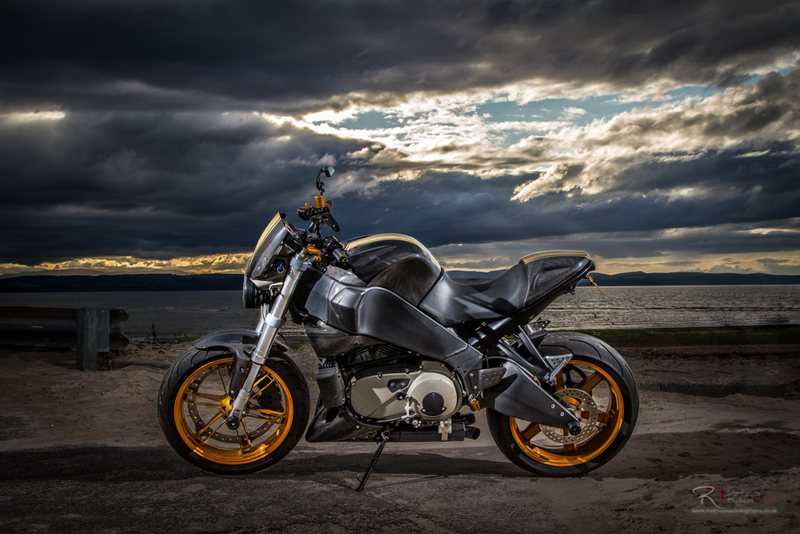 When Graeme turned up on his Buell 1200s in a stunning orange and carbon colour scheme, I have to admit I almost did a little dance!! The sound of it, even when idling, was like thunder and could be felt rumbling deep inside your bones. 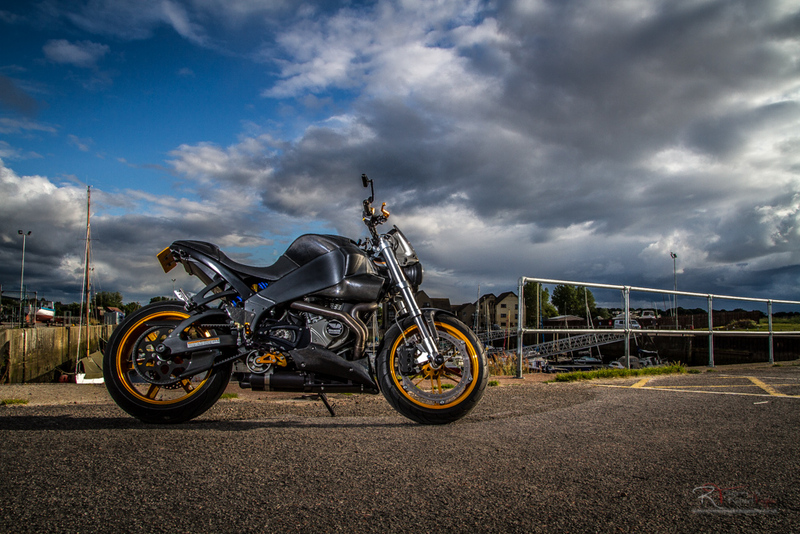 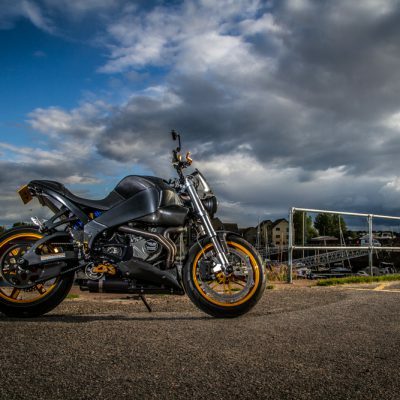 As a bonus we were graced with brooding skies which brilliantly complimented the street-fighter styling of the bike. 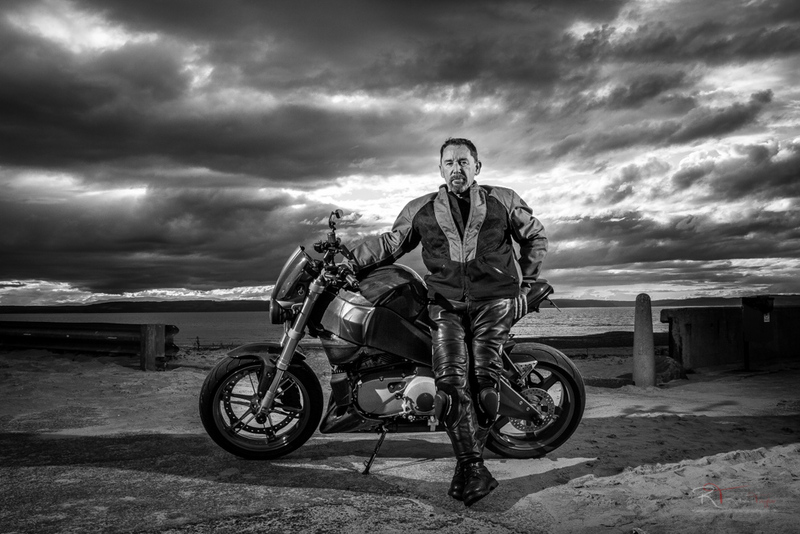 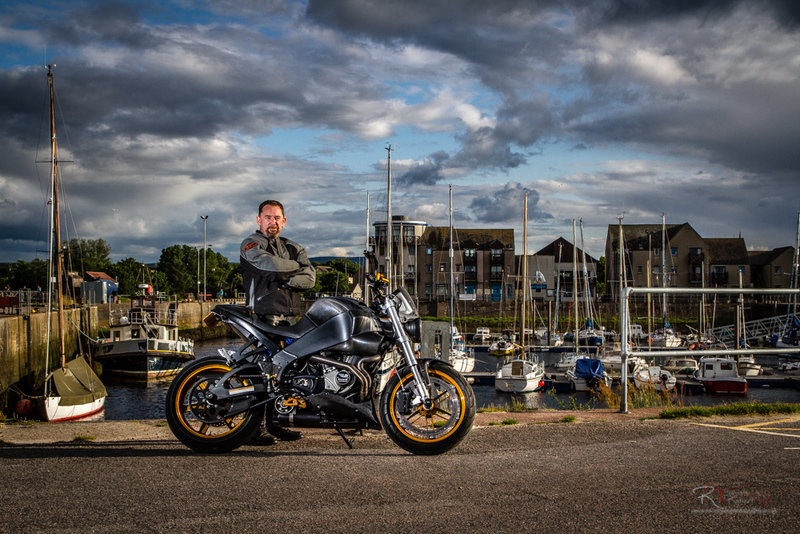 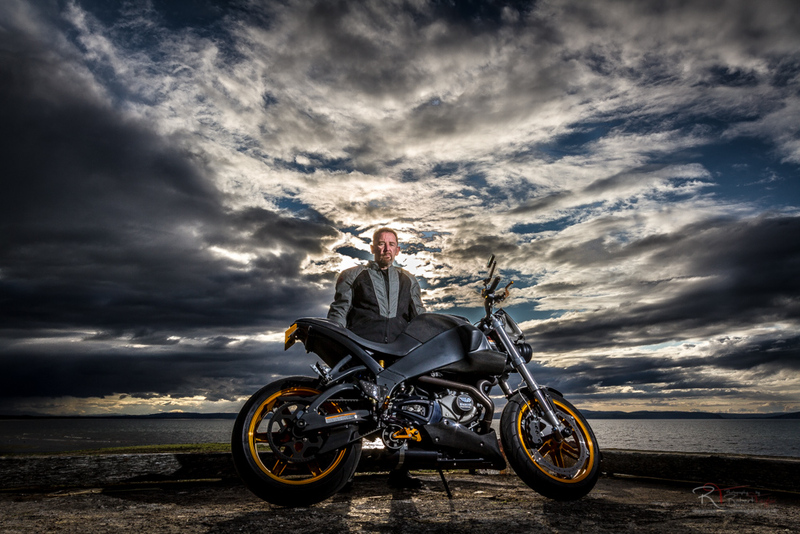 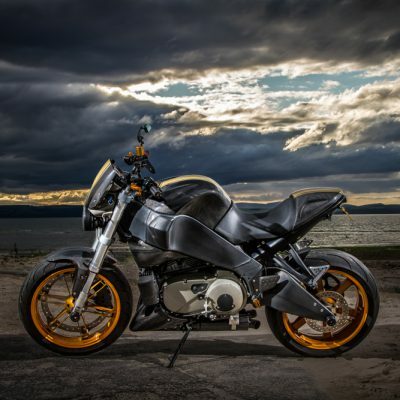 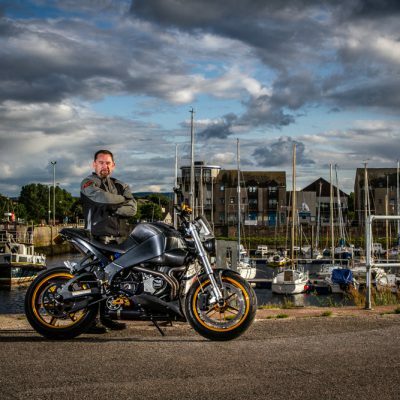 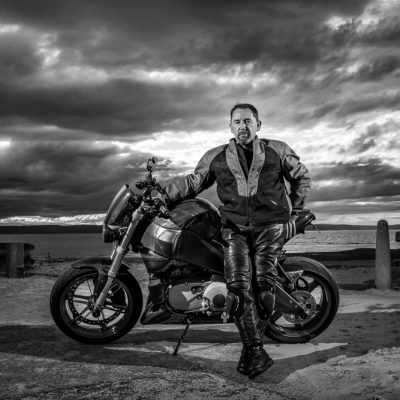 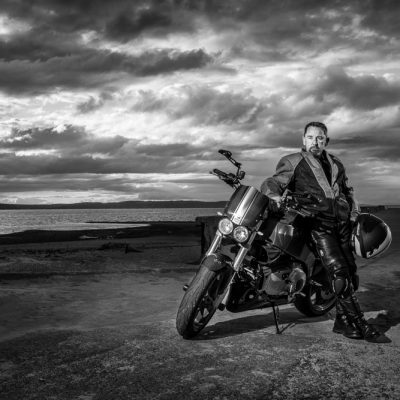 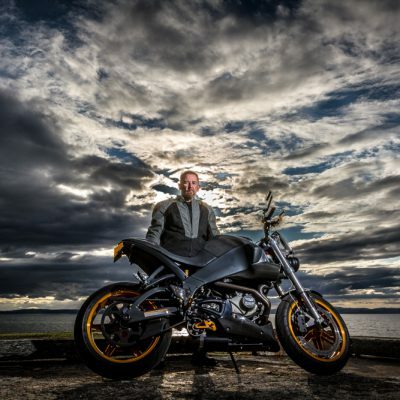 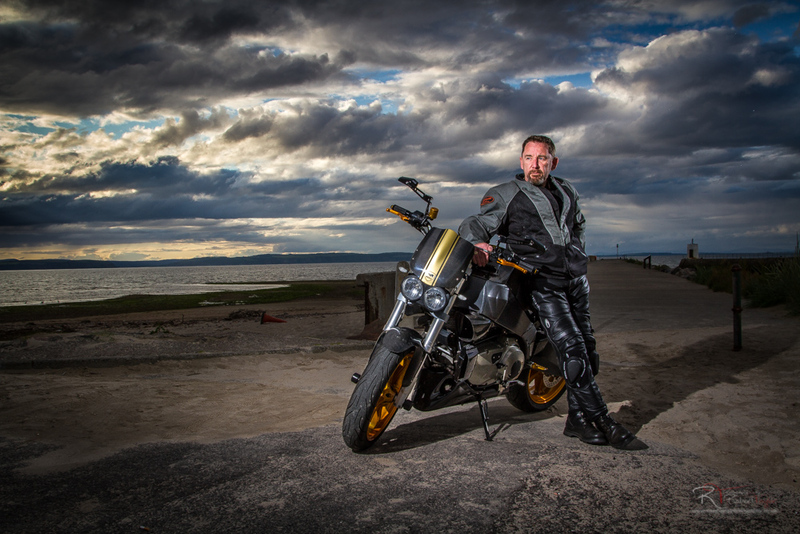 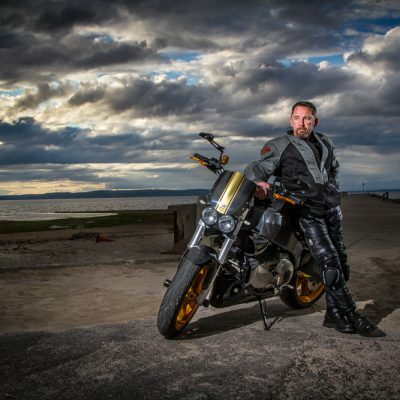 One of the images from the shoot ended up in the Buell owners calander and another has netted me a number of awards. 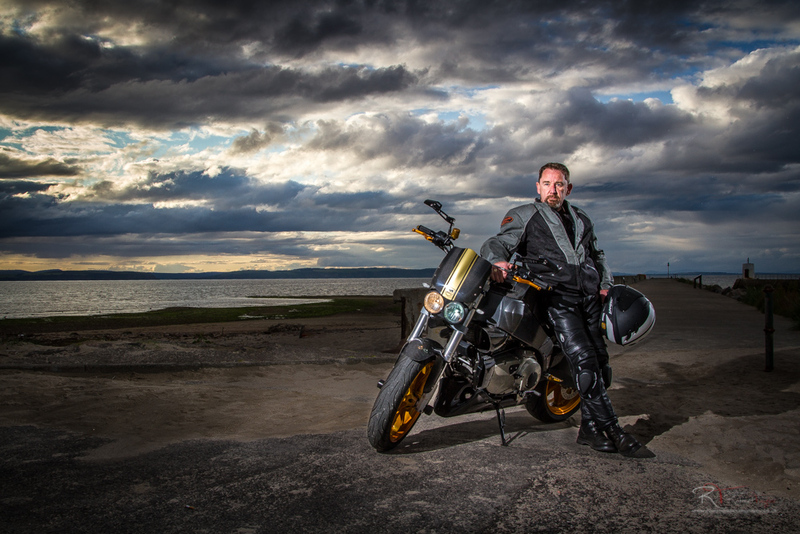 A very successful shoot.